>>> print (“Hello, World!”) Hello, World! 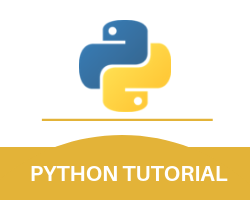 You as a Python developer can also choose to execute a Python program by directly creating a Python file on your server. This python file is created with the help of a .py extension. This file with the .py extension can then be run in the command line in the below-mentioned way. It is important for any learner of this programming language to remember that unlike many other programming languages where the indentations are only for the readability purposes, in Python the indentations actually plays a rather important role. This important role is that Python uses the indentations to indicate any particular block of codes. The below-mentioned example can be treated as a sample Python script. With this, we round up our tutorial for Python programming Syntax.